How are you doing on this fine day? Today I am feeling very optimistic 🙂 You can probably tell from this post. Its a more positive post than negative. I hope I do come across a more positive person. I don’t want to be a moody fart. Its a beautiful and sunny day down my end Mashallah. Yep, today post is about my family. We all have the problem with keeping family ties and this is my experience in this matter. my entire life I have always been showered with love from my family Alhamdullilah. Like every Asian out there, we are known to have a big family and thank god for that. My life has been great and one of the reason for that is because of the great family I have Alhamdullilah. To my amazement, I have always realised the importance of having my family with me and never have I not appreciated them. I believe the main reason for this is because I have always remained a strong relationships with all of my family members. The credit all goes to my parents. If it wasn’t for them also having a good relationship with the entire family then we would not have had that blessing. Unfortunately some of my family members have or are not experiencing this blessing. The relatives have not uphold the ties with some of the family members which has caused them to be deprived from their love and this has also been taken away from their children. This was sad for me to see. I have grown up and observed this. It has caused many problems within my family. The Islamic concept of upholding family ties have been lost in my family. I did not like it and it was making me angry. My parents have always taught me and my sister to always try my best to stay in contact with my whole family. That is also including the extended family. It was a different story for some of my family members. Why is it that some of my family was thinking like this?!? “I will not visit them because they do not visit me” – this is the concept some of my relative had. My family follow the principle of giving a gift in return for a gift, and visiting in return for a visit, so if someone does not give them a gift, they do not give him a gift, and if he does not visit them, they do not visit him. This is what they were teaching their children who are my cousins and this is their reason for cutting ties with some of the relatives. When I first use to hear this I found it annoying but, now I have come to the point feeling sorry for them. This is because our family are our blessing from Allah SWT & keeping this narrow minded view regarding our relatives is us wasting away the blessings we have been granted in our life. Not to forget it is also not Islamic. The Hadith says: – “The one who truly upholds those ties is the one who does so even if they break off the relationship.” (al-Bukhaari, 5645). If the relationship is merely one of returning favours and giving like in return for like, and not taking the initiative, then this is not upholding the ties of kinship, it is only responding in kind. Therefore this is not at all required in Islam, it is not the higher degree which Islam urges us to reach. I realised how important it was for me to inform my family obviously, with good manners. It was my duty to teach them the correct way to treat our family. The family members who had uphold this concept opened their eyes to the right way. At the same time, I learnt that this concept was a cultural teaching. Their parents (who are my grandparents) did not have the privilege of having access to Islamic materials everywhere as we do today. It was a learning curve, I have learnt to appreciate the internet and books that we have available. 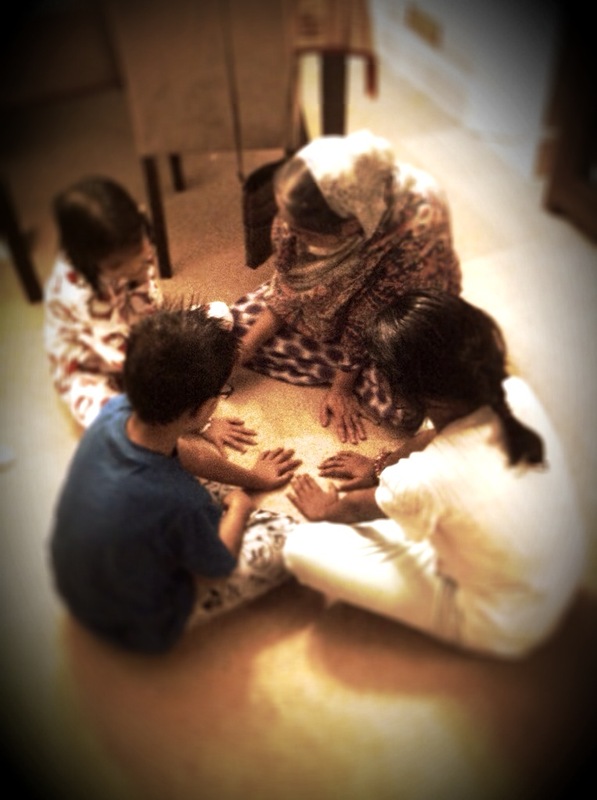 It’s great to see the improvement with relationship within family improving Alhamdullilah. Now some of my cousins can also be spoilt with love and affection from the family. I love my family soo much and grateful to have the family I have Alhamdullilah. Inshallah you all have the same to say. If not, then I hope you can take the initial step to amend ties. Have a blessed day my fellow bloggers.